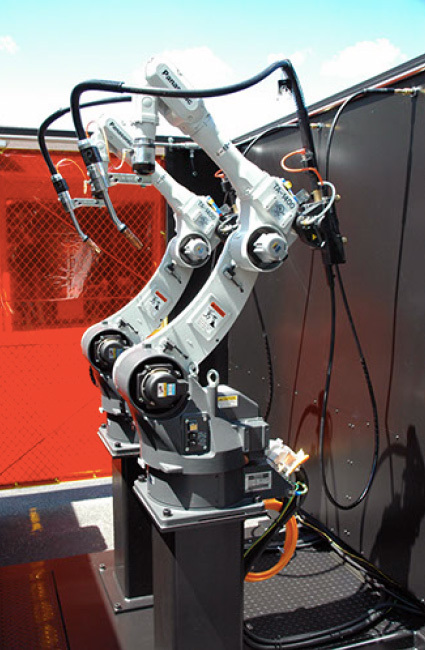 Robotic welding allows manufacturers to enjoy higher product yields and throughput while saving money on labor and inventory. With the right training, anyone can learn to easily program a robot to perform precise, consistent welds time and time again, reducing waste and production time. Weld-Action has installed hundreds of robots into work cells, resulting in increased production and lower costs for all of our customers. We specialize in six-axis, servo-driven robots that have a repeatability of eight one-thousandths of an inch. Robot controls also control safety, peripheral equipment, power, positioning equipment, torch cleaning, adaptive control sensing, quality control functions, and weld parameters.